U.S. Billboard columnist Jeff Benjamin cheered for Jeong Se woon's new song '±0'. Jeong Se woon’s new album '±0' got cheers from Jeff Benjamin of billboard. 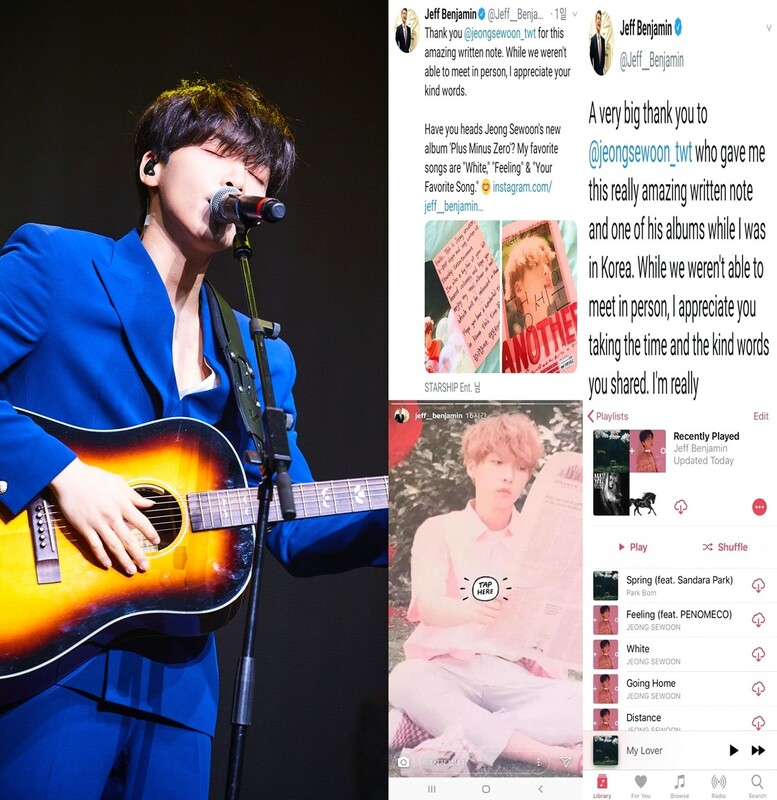 Jeff Benjamin, a columnist for Billboard, a well-known U.S. music media outlet, recently introduced Jeong Se woon and his special relationship on his SNS, drawing attention from music fans by cheering for him. The title track "Feeling (Feat. PENOMECO)" is highly regarded by the public and critics as well as Jeong Se woon's cool voice, Penomeco's trendy rap and vocals, which have met to complete unrivaled music. In addition, he recently made a surprise release of the music video for the song "My Ocean," a pop ballad with an impressive line of beautiful songs and lyrical melodies. The music video, which was hosted by this year's location on Jeju Island, has strengthened the atmosphere of Jeong Se woon's musical world with the backdrop of a lonely yet beautiful natural landscape. In addition, Jeong Se woon topped the music charts with his new mini-album "±0" and has been making a big splash with a variety of activities, He has been making a big splash with a variety of activities, including the opening of the musical "Grease" as the lead character Danny in April. Jeong Se woon continues his diverse musical career with his new song "Feeling (Feat. PENOMECO).